Sees Record Sales Ahead Of This Weekend’s Opening Performances! limited availability for performances before Christmas. Actress and singer Samantha Womack is best-known for her role in EastEnders as the late Ronnie Mitchell, whose chilling on-screen departure was seen by over nine million television viewers last Christmas. Having appeared on numerous television dramas and comedies including Game On, Home Again, The Grimleys and films including Up’n’Under and Lighthouse Hill she has firmly established herself as one of the country’s most prolific actresses. Her stage work includes the role of Sandy in the West End revival of Grease at the Dominion Theatre, Miss Adelaide in Guys and Dolls opposite Patrick Swayze and in the West End, Nellie Forbush in the UK tour of South Pacific and most recently as Morticia Addams in the UK tour of The Addams Family. Samantha will play the Wicked Queen, hoping to ensure she remains the fairest of them all by plotting the demise of the beautiful Snow White. Starring as her Henchman will be Bridgend-born Gareth Thomas, known as ‘Alfie’, who was the first Welsh rugby player to reach 100 caps and is one of the most iconic and respected figures in world sport. Now retired, Gareth has gone on to enjoy a varied media career including appearances on Celebrity Big Brother, Dancing on Ice, The Jump and regularly commentates for BT Sport and Sky. Snow White and the Seven Dwarfs marks Gareth’s return to pantomime at the New Theatre where he made his panto debut in 2014. Back for his fifth consecutive Cardiff pantomime will be British Comedy Award winner, singer, comedian and much-loved dame Mike Doyle who will star as the Nurse. Following last year’s critically acclaimed appearance as Mrs Smee opposite David Hasselhoff in Peter Pan, Mike will bring his array of comedy, costumes and audience participation to New Theatre audiences this Christmas. Funny man Tam Ryan plays Muddles. Tam has had a successful and varied career in live entertainment for a number of years, regularly starring on stage in venues across the country, as a highly sought after entertainer on cruise ships and a regular in the world of pantomime having starred alongside David Hasselhoff, Warwick Davis and Priscilla Presley. Snow White and the Seven Dwarfs marks Tam’s first appearance in pantomime for Qdos Entertainment. Stephanie Webber completes the line-up as Snow White. No stranger to audiences in Cardiff, she played Mimi the Mermaid in Peter Pan last year and has just finished Tiger Bay at WMC. In 2015 Stephanie auditioned for the BBC One talent search The Voice, receiving the fastest reaction from will.i.am upon hearing her spectacular singing voice. Throughout her stint on the competition Stephanie was mentored by Tom Jones and she continued to wow the judges and audiences alike with her winning personality and stage presence. Staged once again by Qdos Entertainment, the world’s biggest pantomime producer, and the team behind last year’s previous box office record holder Peter Pan, Snow White and the Seven Dwarfs will feature all of the traditional pantomime ingredients Cardiff theatregoers have now come to expect in a fantastic new production of the well-loved fairy tale. 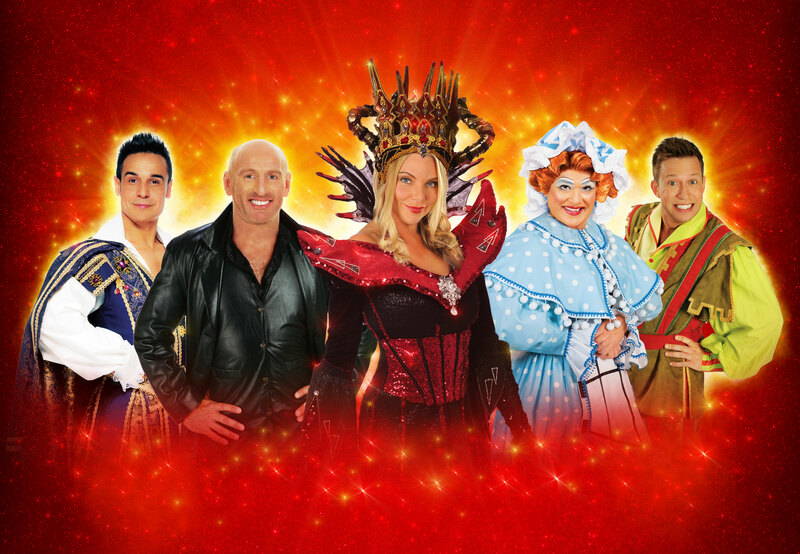 Best availability for Snow White and the Seven Dwarfs is now after Christmas. For full details and to book tickets visit newtheatrecardiff.co.uk or call the Box Office on (029) 2087 8889. The show runs until Sunday 14 January.